Autodesk® CFD software provides fast, accurate, and flexible fluid flow and thermal simulation tools to help predict product performance, optimize designs, and validate product behavior before manufacturing—minimizing reliance on costly physical prototypes and helping you get innovative products to market faster. 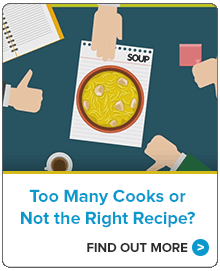 Easily explore and compare design alternatives and better understand the implications of design choices using an innovative Design Study Environment and automation tools. Autodesk CFD software supports direct data exchange with most CAD software tools including Autodesk® Inventor® software, Autodesk® Revit® software, Pro/ENGINEER®, and SolidWorks®. Autodesk CFD software enables you to make great products. 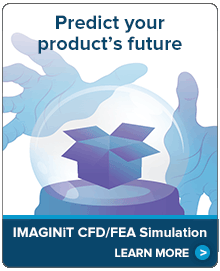 Learn how you can extend the capabilities of your Autodesk CFD software with IMAGINiT's CFD/FEA Simulation Services. This whitepaper outlines the risks and benefits associated with airflow modeling and analysis for healthcare organizations. This whitepaper provides step by step instruction for new Autodesk Simulation CFD users in setting up, running, and managing the results of an analysis. Using a the example of a venturi, this guide shows the reader how to import a model and generate a fluid component and how to set up materials for imported and generated components. From there the paper walks the user through applying boundary conditions such as pressures and temperatures, and how to configure the solver for analysis. Additionally, the reader will learn how to check the results for convergence, and how to review and interpret the results of the analysis. All the tasks outlined in this paper are geared toward the new user with a layman’s understanding of fluid dynamics, and is very manageable for all levels of technical background. Crystal Group Streamlines Product Design and Quality Processes with Simulation and Document Control Solutions.